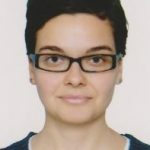 Ljubica Spaskovska is currently working as a Research Fellow at the University of Edinburgh-based project on “Europeanization of Citizenship in the Successor States of the Former Yugoslavia”. She holds an MA degree in Central European History with distinction from the Central European University (Budapest, Hungary) and an MA in Human Rights and Democracy from the Universities of Bologna and Sarajevo, within the framework of which she has completed two MA theses: “Defeated Demos – on the Anti-Nationalist, Reform and Democratizing Initiatives and Tendencies in Yugoslavia 1989-1991” and “Sretno dijete/Happy Child – from Yugoslavism to Europeanism – on Youth Cultural Identities and Ideology in Former Yugoslavia”. As part of her postgraduate studies she has done extensive research on the region of former Yugoslavia. In addition she has studied in Macedonia, USA (Duke University) and in the U.K. and has worked as a junior project assistant at the Macedonian Academy of Sciences and Arts, as a literary translator from French, and in the civil society sector in Kosovo.